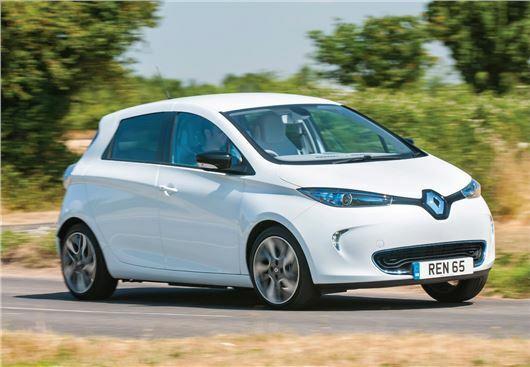 Just one per cent of car buyers would consider buying an electric car and only 13 per cent are interested in buying a hybrid vehicle, according to a survey. The majority (62%) still want a conventional petrol or diesel engine, according to the findings of a PwC survey of 500 UK drivers who want to buy a new car for personal use within the next 12 months. Phil Harrold, partner in the automotive practice at PwC, said:"Customers expect manufacturers to shoulder the burden of ensuring their next car has minimal impact on the environment, but they remain less likely to opt for hybrids or electric cars themselves. "The demands and preferences of the drivers clearly highlight the dilemma faced by car manufacturers. Customers are conservative when it comes to their choice of car, yet expect innovation from manufacturers to help protect the climate. The challenge facing manufacturers is to change the primary concern in buyers' minds from cost to conservation." Car customers in the UK place a high level of importance on the cost-effectiveness of petrol and diesel engines, expecting at least 40 miles per gallon fuel consumption. The design of more cost-effective engines is becoming increasingly important for car buyers: more than 80% believe it should be seen as the principal task of car manufacturers in the future. According to PwC, the results show that, on the whole, customers are not prepared to accept cutting back on their driving or changing their buying habits for the sake of climate protection. Only 15% believe that driving less is a realistic resolution for the future. Avoiding larger vehicles, like SUVs, is not an option for more than half (63%) of those questioned. Instead consumers expect manufacturers to perform the balancing act of developing expensive technologies such as those found in electric cars, hybrids and lightweight designs, while at the same time meeting the expectations of customers as well as lawmakers in terms of environmental protection, comfort and design. Harrold added: "The results show that the responsibility for climate protection is being delegated to the manufacturers. When it comes to the crunch, most purchasers view the design as more important than good emission values."